Say “goodbye” to lazy days and it’s back to the books. Well, sketchbooks and pencils if you happen to be a Waterloo Arts student. At Waterloo Arts, the staff and community provide excellent records of success. Waterloo Arts has 24 undergraduate majors and 37 distinct graduate programs and it’s art professors hold the most number of Distinguished Teacher Award winners among the 6 Waterloo Faculties. The school also offers international exchange programs, fieldwork, student research positions, and internships to art students. Plus year-round lectures and events are held regularly too! School may be starting, but have no fear! 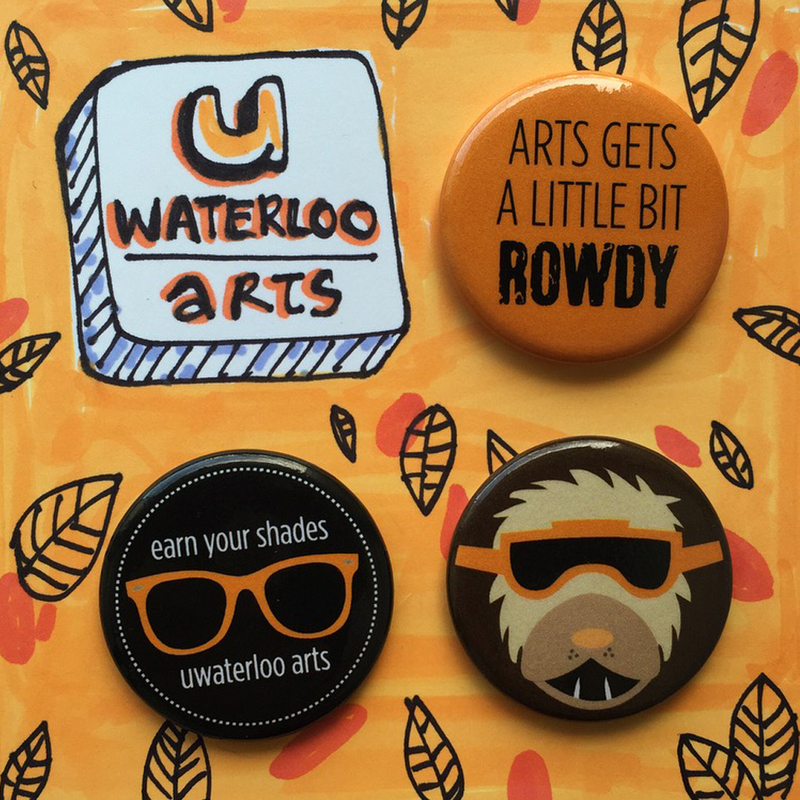 It’s time to face the new school year, with these swanky Waterloo Arts buttons of course. Still bummed about school? Campus legend says touching Porcellino’s snout gives good luck!